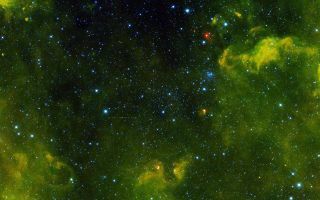 More than 100 asteroids were captured in this fascinating space wallpaper from NASA's Wide-field Infrared Survey Explorer, or WISE, during its primary all-sky survey. More than 100 asteroids were captured in this fascinating space wallpaper from NASA's Wide-field Infrared Survey Explorer, or WISE, during its primary all-sky survey. In its first 25 days of operations, the newly reactivated NEOWISE mission has detected 857 minor bodies in our solar system, including 22 near-Earth objects (NEOs) and four comets. This image was released Jan. 23, 2014.